I was confused after scoring low in GRE. An internship gave a new direction to my career. 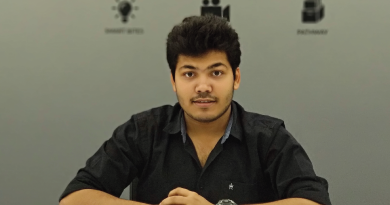 About the Author: Jeet Rambhiya is a student of Shah and Anchor Kutchhi Engineering College. He shares snippets of his internship experience and how it helped him with his career decisions. I was in my final year of engineering and had it all figured out, unlike many engineering graduates. I was working part-time at my aunt’s office. I had given GRE as I aimed to do masters, and so I didn’t sit for the campus placements in my college. My overconfidence came back to bite me when I couldn’t get a good score in GRE. I decided to reappear for the exam; however, this left me with a few spare months. This was when the idea of doing an internship crossed my mind. I visited Internshala’s website as I had heard about the platform, created my resume, and applied for various internships. I was shortlisted for a few internships but I was yet to find that dream internship. With high hopes, I kept applying to more and more internships till I finally received a call from the HR of EdCast Asia, a SAAS platform to host MOOC and LMS. She congratulated me on having been selected for an interview and cited the date and venue for the interview. With hundreds of thoughts brewing in my head, I entered their office. There were two rounds of interview – one with my to-be-manager and another with the HR. I was quite nervous before the interview started but gathered confidence gradually. She asked me about my previous internship experience. I told her that I was involved in sales and marketing and gave a brief overview of what I did there, implying what all I would bring to the table if I was hired. We discussed the role of an operations personnel. Then she asked me if I could design mailers and was aware of the templates used for it. I replied in affirmative and mentioned that I could get better if guided. Next followed the much-anticipated discussion around the organisation, my hobbies & interests, future plans, reasons for going for an internship rather than a full-time job, etc. Next up was the HR interview wherein I was judged on my communication skills and leadership qualities. After a while, she informed me that I was hired for the internship and completed all the formalities. As my joining date drew closer, I was getting more and more excited to begin working at EdCast. As an intern, I was responsible for building scalable relationships with the audience in prospective organisations. This internship gave me various opportunities to interact with clients, who were majorly from Fortune 500 companies, about our ongoing projects. I worked with them on the pilot stage as well as after the closure of deals. I participated in various research initiatives wherein we did a competitor analysis of our product. With each suggestion and idea that I gave for the product feature improvement, I learnt to troubleshoot different sorts of problems and come up with innovative and effective solutions. I also liaised with the content curation and engineering and support teams to ensure that the deliverables were met on time. During my tenure, I closely observed the industry trends and gained insights into e-learning sectors. The foremost skill that I sharpened during my internship was verbal and written communication as I would communicate with clients and C-level executives. I learnt broader aspects of project management and stakeholder management and got an exposure to various tools like JIRA and Intercom. Working in a startup has prepared me to work under pressure and to step outside of my comfort zone. After 6 months of fun-packed learning, I was offered a full-time job at Edcast, which I gladly accepted. This internship not only helped me get a job but also guided me through my career decisions. I am no longer stuck at GRE because I’ve found something that I truly enjoy doing. I might take the exam again in future but for now, I’m happy with the way my career is shaping up. Editor’s note – Are you a graduate struggling to find a job? Don’t worry, we’ve got your back! Apply to more than 1600 internships that come with a pre-placement offer (PPO) through our India Employed campaign and begin your career. I am relating myself somewhere to your storyas even i have seen failures and I an just in my second year and yeah even I am student of SAKEC.